I bet you are wondering why I haven't mentioned my featherweight being done and showing it off. The first two photos show the sweater completed before blocking and shaping. I was quite pleased with how it turned out. Very very pleased. Then I blocked it. I soaked it and wished I would gain an inch in length. Well-I gained many inches!! Silk has little to no memory and it just stretched long. So I did get my length but in the process I lost my width of the button band! I also did a stretchy bind off (do not do this on a button band) so it was wavy and quite ugly. I undid the bind off and knit another 2+ inches with a smaller needle size and bound off the regular way. I just finished today and ran upstairs to steam block the button band. I am so happy now!! I am happy that I slept on what I wanted to achieve and how I was going to do it. Now I can wear it without being grumpy :) I am also happy that I have ravelry friends who helped give advice on silk handling-steam blocking seems to be the way to work with silk. In case you are wondering, I believe this will be my only silk sweater, it caused too much stress!! Phew! It's truly beautiful, and well done for persevering. I know for certain that I would have bitterly resented my error and notched yet another project down to experience without ever trying to correct it. So pleased your story has a happy ending! Yay!!! You finished it! Well done indeed to persevering as little macaroon said. And well done to Ravelry for providing us with the helpful, generous community we all need when in a knitting fix. Your featherweight is beautiful indeed. On the subject of silk yarns I am fairly smitten with Juno yarns, Pearl especially and I am intending to use their lace weight to knit up this pattern. However I would agree, in my humble experience, that silk is pretty stressful to knit with. I find it quite unforgiving when partially frogging as it tends to split. Have a beautiful week. What's next on the needles? ps Thank you so much for your encouraging comment about my hares and my nascent shop. I really appreciated it. Karen, reguardless of all the problems it is a stunning sweater and I can only imagine how soft it feels. It really does look quite beautiful on you and I hope you enjoy wearing it. Wow, it is beautiful and looks lovely on you. fantastic fix, Karen!! totally worth the trouble of ripping and redoing ~ it looks so much better now ~ it's perfect! Oh my! This is stunning! Beautiful job! Wow Karen, that is a stunner. I am in awe. Eeek...that does sound stressful. But it looks absolutely lovely! It was definitely worth all the stress it looks gorgeous. Very pretty. It looks like it would feel soooooo nice on. In spite of the stress of making it really very lovely! It may have been stressful, but the final result is stunning! Gorgeous! thumbs up karen! well done! My goodness, it is gorgeous! Beautiful work. Karen....this is just beautiful! 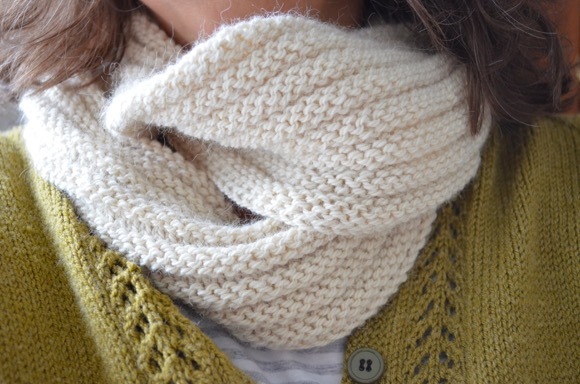 Oh, I am so jealous of the way you knit and how awesome your finished projects look on you :) Glad you figured out how to fix it and make it just the way you wanted it. Have a great week! It is beautiful, even if it was stressful! At least you know you will enjoy it because it took so much work! It's lovely - I admire your perseverance! this is amazingly beautiful.....the colors the fit....it looks perfect on you! You should be very proud!!! It is GORGEOUS, and I hope worth the work, stress, and trouble. One of a kind! Fits beautifully and the colours are wonderful. oh, wow, this is a one-of-a-kind piece! wonderful! Don't give up on knitting sweaters! For every one that caused me grief, I also learned some valuable lessons. 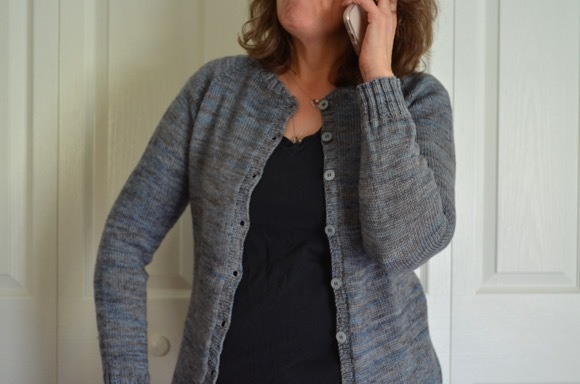 Whatever stress you had with the cardi, it was worth it - it's beautiful! Oh, it looks like it was worth the stress - absolutely gorgoeous! It looks lovely, what a great colour! Congratulations on saving your work - It really is beautiful. I LOVE IT! You did beautiful work, my friend. It's stunning. Wear it with pride! Wow-absolutely beautiful! Love the colors and I'm glad it turned out in the end!